Thank you for making SIRE 2018 a resounding success! Join our mailing list for updates on future editions. 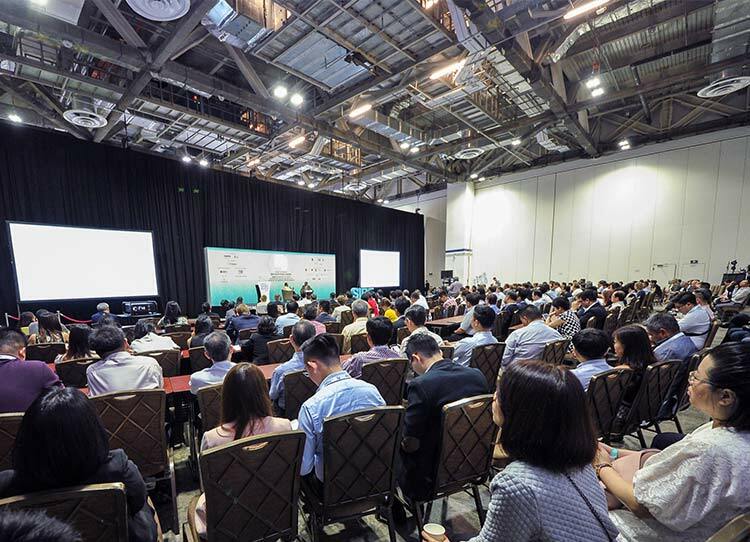 The Singapore International Robo Expo (SIRE) aims to be a platform that creates opportunities for people to meet, connect and convert. As the industry moves towards decreasing costs and greater flexibility of robotics technology, it is important to bring together the trade and community segments in dialogue on the business capabilities and wider adoption of robotics. The SIRE brand emphasises opportunity: opportunities for attendees to expand business networks, discover useful solutions or gain key industry insights at SIRE. Our brand is captured through its logo. The traditional character "機", pronounced "ji", can mean both "machinery" and "opportunity". This reflects our view that there is great potential in the application of robotics across various sectors; unlocking many opportunities for business success. We also believe that both industry experts and the community should be empowered to understand and employ robotics' many applications. SIRE continues to be a regional hub, aimed at bringing regional and international industry professionals together. The event presents them with opportunities to tap into the abundant human and technological resources present in Singapore which makes it a vibrant hub for growth of the robotics and automation industry. SIRE is the industry’s leading regional event for industrial and service robots. The market for robotics is experiencing strong growth between 2016 and 2021, with revenue from unit sales of industrial and non-industrial robots projected to grow 563% from 2016 to 2021, hitting US$226.2billion in 2021. The Asia Pacific region remains a key growth driver for the global robotics and automation industry. SIRE is the regional platform where attendees can gain key insights, ignite business opportunities and discover fresh solutions amidst this staggering industry growth. There are numerous taxis available in Singapore that offer reliable service. The taxi fare from the airport to Marina bay Sands is about $25 and to the city about $30 subject to surcharges. Singapore has put in place a transportation network that offers access to every corner of the island, either by bus, MRT (the island's underground rail network) or taxi. The Mass Rapid Transit or the "MRT" as it's more commonly referred to by the locals is one of the most convenient forms of transportation available in the country. Download the SMRT route map. Visitors who wish to travel by MRT(train) are required to purchase an EZ-Link Card, a contactless stored value ticket that can be used on the MRT and buses. Tip: You may also want to consider downloading apps for the Singapore Bus Service, MRT and even public transport schedules onto your phone, which will prove helpful in getting on track with local public transportation. Foreign participants attending Singapore International Robo Expo can get to experience and enjoy the vibrancy of Singapore in a convenient, fuss-free and cost-effective way while doing business here. With SIRE 2018 set for further growth! Choose Your SIRE 2018 Pass Today! Click here to register as a trade visitor! Register as a Partner/Sponsor of SIRE 2018 Today! Grow your visibility and enhance your business profile at Singapore’s premier Robotics event. Meet, connect and convert with key industry players when you partner with SIRE.